Access Platforms Aberdeen Limited is one of the fastest growing privately owned access platform companies in Scotland. We supply access platforms and equipment to businesses throughout Scotland. 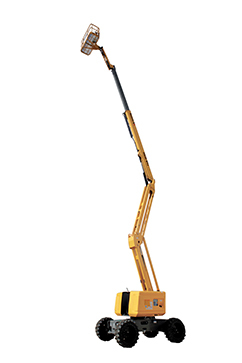 Our modern fleet of over 350 access platforms is available for contract hire. Call us on 01224 899000 to discuss your requirements! We have a modern fleet of over 350 access platforms available for contract hire across Scotland. 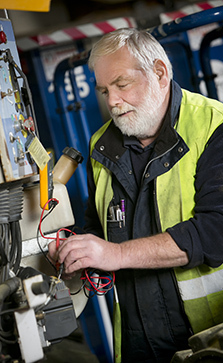 Our service and maintenance engineers are highly skilled, carrying out both repairs and periodic servicing. We are a fully certified IPAF Training provider. 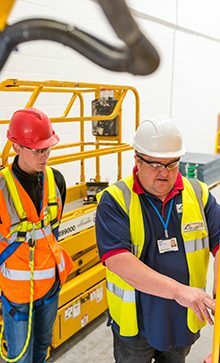 Training to International Powered Access Federation standard.